1.00. By way of this petition under Article 226 of the Constitution of India, the petitioner – assessee has prayed for appropriate writ, order and/or direction to quash and set aside the impugned notice issued under section 148 of the Income Tax Act, 1961 dated 27/3/2014 for the A.Y. 2007-2008. Thus, the petitioner has challenged reopening proceedings of the assessment for A.Y. 2007-2008 initiated in exercise of powers under section 147 of the Income Tax Act. 2.01. That the petitioner is a Company engaged in I.T. Enabled Services and Software Development. The petitioner filed its return of income for A.Y. 2007-2008 on 21/10/2007 declaring total income at Rs.5,52,52,210/-. 2.02. That the case was selected for scrutiny and notices under section 142(1) and under section 143(2) of the Income Tax Act were issued and served upon the petitioner – assessee. It appears that in the notice dated 12/11/2010, specific query regarding Software License Fees was raised. 2.03. That thereafter the assessing officer passed the assessment order under section 143(3) of the Income Tax Act on 29/12/2010, making several additions to income under various heads of the income of the assessee. 2.05. That on receiving the notice, the assessee requested for the reasons recorded for reassessment the assessment vide letter / communication dated 28/4/2014. That vide letter / communication dated 20/5/2014, the assessing officer recorded reasons for reopening of the assessment (Annexure-E to the petition). 2.06. That it appears that on receipt of the reasons recorded for reassessment, the assessee raised various objections submitting that there was no omission or failure on the part of the assessee to disclose truly and fully all material facts and therefore, the initiation of the reassessment proceedings beyond four years, was not valid. The assessee also raised various objections on merits also. That vide communication / letter dated 6/9/2014, the Assessing Officer disposed of the objections raised by the petitioner assessee against the reopening of the assessment. Hence, the petitioner has preferred present Special Civil Application under Article 226 of the Constitution of India challenging the impugned reassessment proceedings for the A.Y. 20072008. Mr.B.S. Soparkar, learned advocate appearing on behalf of the petitioner -assessee has vehemently submitted that the ground for reopening of the assessment is completely misconceived and baseless. It is submitted that in the present case reassessment proceedings have been initiated after a period of four years. It is submitted that therefore, escapement of income must also be occasioned by a failure on the part of the assessee to disclose fully and truly all the material facts. 3.01. Mr.B.S. Soparkar, learned advocate appearing on behalf of the petitioner -assessee has further submitted that in the present case, as such there is/ was no failure on the part of the assessee to disclose truly and fully all material facts necessary for assessment. It is submitted that all details of payment for Software License Fees were duly provided as and when sought and/or required by the Assessing Officer and the same was scrutinized by the Assessing Officer. It is submitted that therefore, now having allowed the claim, it is not open to the respondent – Assessing Officer to reopen the assessment, merely for the re-computation taking a different view on the same material available with him. 3.02. Mr.B.S. Soparkar, learned advocate appearing on behalf of the petitioner -assessee has further submitted that the only query which was raised by the Assessing Officer at the time of framing the original assessment was whether the Software License Fees was revenue in nature or not. It is submitted that at the relevant time, no query was raised at all with respect to Tax Deducted at Source (“TDS” for short) deducted on the Software License Fees. It is submitted that thereafter when the Assessing Officer passed the assessment order and that as such there was no failure on the part assessee to disclose fully and truly all material facts the initiation of reassessment proceedings on the reasons recorded, is absolutely invalid, illegal and without jurisdiction and more particularly, the condition precedent for initiation of the reassessment proceedings beyond the period of four years are not satisfied. 3.03. Mr.B.S. Soparkar, learned advocate appearing on behalf of the petitioner -assessee has heavily relied upon the decision of this Court in the case of Niko Resources Ltd. Versus Assistant Director of Income Tax, reported in (2014) 51 Taxman.com 568 (Gujarat) in support of his above submissions and request to quash and set aside the impugned reassessment proceedings. Mr.B.S. Soparkar, learned advocate appearing on behalf of the petitioner -assessee has also heavily relied upon the decision of the Division Bench of this Court in the Case of Gujarat Lease Financing Limited Versus Deputy Commissioner of Income Tax, Circle-IV, Ahmedabad dated 24/6/2013 passed in Special Civil Application No. 3048 in support of his submissions that the initiation of the impugned reassessment proceedings are absolutely illegal and without jurisdiction. Present petition is opposed by Mr.M.R. Bhatt, learned counsel appearing on behalf of the revenue. 4.01. An Affidavit-in-reply is filed on behalf of the respondent justifying the reopening of the assessment for the A.Y. 2007-2008, in exercise of powers under section 147 of the Income Tax Act. 4.02. Mr.M.R. Bhatt, learned counsel appearing on behalf of the revenue has vehemently submitted that as such the present petition is filed at premature stage, as only a notice under section 148 read with section 147 of the Income Tax Act has been issued. It is submitted that in the events the petitioner assessee is aggrieved by the reassessment order, alternative efficacious remedy is available by way of an appeal to the CIT(A) and thereafter to the learned tribunal as per the provisions of the Act. Therefore, it is requested not to entertain the present petition. 4.03. On merits, Mr.M.R. Bhatt, learned counsel appearing on behalf of the revenue has vehemently submitted that the impugned reassessment proceedings are absolutely just and proper and in accordance with the provisions of the Act, more particularly section 147 read with section 148 of the Income Tax Act. 4.04. Mr.M.R. Bhatt, learned counsel appearing on behalf of the revenue has further submitted that in the case of the petitioner, the assessment was completed under section 143(3) of the Income Tax Act at the total income of Rs.6,47,90,040/- on 29/12/2010. It is submitted that subsequently it was noticed that the income of Rs.85,94,823/-had escaped assessment. It is submitted that therefore, after recording the reasons for reopening of the assessment and after taking necessary administrative approval, notice under section 148 of the Income Tax Act has been lawfully issued. It is submitted that even the objections raised by the petitioner assessee against the reopening of the assessment have been dealt with by the Assessing Officer. It is submitted that it has been found that as the income has escaped assessment, reopening of the assessment is justified. It is submitted that the case of the petitioner has been reopened on the issue of non-deduction of TDS under section 195 read with section 40(A)(i) of the Income Tax Act amounting to Rs.85,96,923/-. It is submitted that, therefore, the case of the petitioner has been reopened, as the income chargeable to tax has escaped assessment on account of failure on the part of the assessee to disclose fully and truly all material facts necessary for the assessment. 4.05. Mr.M.R. Bhatt, learned counsel appearing on behalf of the revenue has further submitted that mere production of Balancesheet and P&L Account Books will not amount to disclosure within the meaning of proviso to section 147 of the Income Tax Act. It is submitted that opinion can only be formed on the issues which are disclosed and thereafter considered. It is submitted that in the present case, payment in nature of royalty was not disclosed by the assessee. It is submitted that though foreign remittance was in nature of royalty, on which tax was to be deducted at source, the assessee failed to do so. 4.06. Mr.M.R. Bhatt, learned counsel appearing on behalf of the revenue has further submitted that in the present case deduction of TDS under section 195 of the Income Tax Act on foreign remittance on “Software License Fees” was not scrutinized during the assessment proceedings under section 143(3) of the Income Tax Act. It is submitted that the Assessing Officer in the assessment proceedings under section 143(3) did not gave any opinion regarding non-deduction of TDS under section 195 of the Income Tax Act on foreign remittance on “Software License Fees”. It is submitted that the assessee had incurred expenditure on “Software License Fees” for an amount of Rs.85,96,823/-and claimed the same as revenue expenditure. It is submitted that the payment was made to the foreign companies without withholding the tax at source though the payment was exclusively in the nature of “Royalty”. 4.07. Mr.M.R. Bhatt, learned counsel appearing on behalf of the revenue has further submitted that the assessee company simply availed the “Software Services” from the foreign companies and these Companies granted the assessee company only right to use “Software License”, as the the Software was owned by the parent Company itself. It is submitted that it is an admitted fact that the payment made by the assessee as Software License Fees is in the nature of “Royalty” and the same was not disclosed in the original return filed. It is submitted that nature of foreign remittance attracts the provisions of section 95 read with section 40(A)(i) of the Act and therefore, the income had escaped the assessment on account of the assessee not disclosing the full facts. It is submitted that therefore initiation of opening of the assessment and initiation of the reassessment proceedings are absolutely just and proper and in accordance with the provisions of law, more particularly section 147 read with section 148 of the Income Tax Act. Submitting accordingly it is requested to dismiss the present Special Civil Application. 5.00. Heard the learned advocates appearing on behalf of the respective parties at length. 5.01. At the outset, it is required to be noted that what is challenged in the present Special Civil Application by the petitioner -assessee is the reopening of the assessment for the A.Y. 20072008 and initiation of the reassessment proceedings for the A.Y. 2007-2008, in exercise of the powers under section 147 read with section 148 of the Income Tax Act. It is required to be noted that in the present case initiation of reassessment proceedings is beyond 4 years from the assessment year. Therefore, unless and until it is observed and found that the income has escaped assessment due to the failure on the part of the assessee to disclose truly and fully all material facts for the assessment, the Assessing Officer is not authorized to make reassessment even in the event of his having reasonable belief that any income chargeable to tax has escaped assessment for any assessment year. As per the first proviso to section 147, assessment can be reopened under section 147 after expiry of 4 years only if (1) assessee failed to make a return under section 139 or in response to the notice under section 142(1) or under section 148 and he failed to disclose truly and fully all material facts necessary for the assessment. Once the case of the assessee is not covered by the first proviso to section 147, reassessment proceedings beyond the period of four years from the end of the relevant assessment year would be without jurisdiction and bad in law. If all material facts are furnished by the assessee and there remained no omission or failure on the part of the assessee to disclose truly and fully all material facts, initiation of reassessment proceedings beyond the period of 4 years is not permission and shall be wholly without jurisdiction. 5.02 Now, in the backdrop of the above legal provisions, challenge to the impugned reassessment proceedings are required to be considered. It has been noted that the payment was made without withholding of tax at source though the payment is exclusively in nature of ‘royalty’. Assessee Company has simply availed ‘software services’ from these above named foreign companies and these companies have granted the assessee company the only the right to use ‘software license’ as the software was owned by the parent company itself. (1) and 201(1A) r.w.s. 195 of the Act dated 02/12/2011 was passed wherein remittance to the tune of Rs.23,02,240/-to one M/s. Magma Design Automation Inc., USA was considered. This resulted into demand of Rs.3,61,463/ , which is paid by the assessee company and even its appeal was dismissed by the CIT(A). Accordingly, I have reason to believe that income to the tune of Rs,85,96,923/-chargeable to tax has been under assessed in the case of the assessee M/s. E-Infochips Ltd. for the. Assessment Year 2007-08 and is required to be reassessed as there was failure on the part of the assessee to disclose fully and truly all material facts necessary for Assessment Year 2007-08. Only thereafter the Assessing Officer while framing the assessment, treated the payment of “Software License Fees” made to the Foreign Companies as revenue expenditure and allowed the deductions claimed. 5.05. Now, subsequently on reopening of the assessment, it is the case of the Assessing Officer that the payment of Software License Fees is in the nature of “royalty” and thus in the nature of Capital Expenditure, as the assesses has simply availed the “Software Services” from the named foreign companies and the said foreign companies have granted the the assessee company the only right to user “Software License”, as the Software was owned by the parent company itself. 5.06. Considering the aforesaid facts and circumstances of the case it cannot be said that the assessee did not disclose fully and truly all material facts necessary for the assessment with respect to Software License Fees paid to foreign companies and therefore, the income chargeable to tax has been escaped due to the failure on the part of the assessee to disclose fully and truly all material facts. Under the circumstances, the condition precedent for invoking powers under section 147 of the Income Tax Act to initiate reassessment proceedings beyond the period of 4 years are not at all satisfied. “16. The Assessing Officer is authorized to make reassessment in the event of his having reasonable belief that any income chargeable to tax has escaped assessment for any assessment year. As per the 1st proviso to section 147 of the Act, assessment can be reopened under section I47 of the Act after expiry of 4 years only if (1) the assessee failed to make a return under section I39 of the Act or in response to notice issued under section 142(1) or under section 148 of the Act, he failed to disclose truly and fully all material facts necessary for the assessment. Once all primary facts are before the assessing authority, no further assistance is required by way of disclosure. All inferences of facts and legal inference need to be drawn by the Assessing Officer. It is not for any one to guide the Assessing Officer in respect of inference “factual or legal”, which requires to be drawn by him alone. Applying the decision of the Division Bench of this Court in the case of Niko Resources Ltd. (supra) as well as Gujarat Lease Financing Limited (supra), to the facts of the case on hand and as observed hereinabove, there does not appear to be failure on the part of the assessee to disclose truly and fully all material facts necessary for assessment, the initiation of the impugned reassessment proceedings which are initiated beyond the period of four years, are not permissible and the same cannot be sustained and on that ground alone, the impugned reassessment proceedings deserve to be quashed and set aside. In view of the above and for the reasons stated above, present petition succeeds. 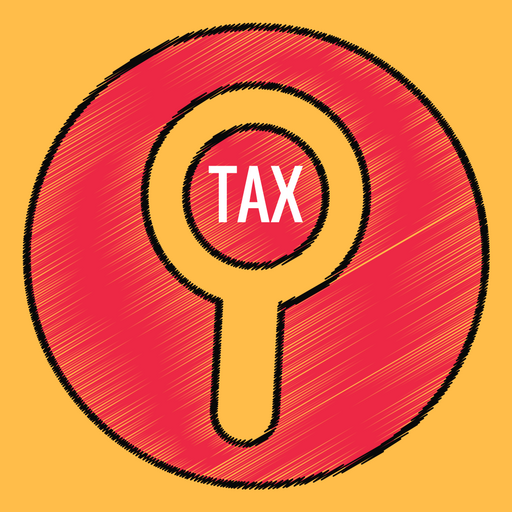 The impugned notice under section 148 of the Income Tax Act for A.Y. 2007-2008 is hereby quashed and set aside and the impugned reassessment proceedings of reopening assessment for the A.Y. 2007-2008 are hereby terminated on the aforesaid ground alone. However, it is observed and made clear that this Court has not expressed any opinion on merits as to whether the payment of “Software License Fees” to the foreign companies, can be said to be “revenue expenditure” as claimed by the assessee or in the nature of “capital expenditure” as claimed by the revenue and the said question is kept open. Rule is made absolute accordingly. In the facts and circumstances of the case, there shall be no order as to costs. This entry was posted in Sec. 142(1), Sec. 143(2), Sec. 143(3), Sec. 201(1), Sec. 201(1A), Section 139, Section 147, Section 148, Section 201, Section 95 and tagged 380 ITR, Gujarat High Court, In favour of Assessee, reassessments u/s 147, reassessments u/s 148.